I’m very excited to announce the launch of my first ever humor book, I Never Drove a Bulldozer / There’s a Hole in my Bucket List. We’ll be partying down at my Telega Tales Facebook site. 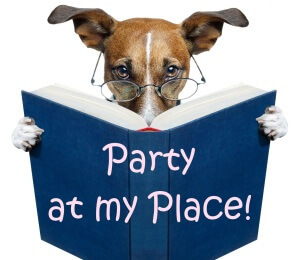 Set aside Thursday evening, April 11, from 7:00 pm to 10:00 pm EDT for a chance to have some fun, learn more about my book, give me a pat on the back (not required, but strongly suggested), and win some cool prizes (no, there will not be a pony). You can come and go as you wish during that time. I’ll be sending out Facebook invitations, but I’d love to see you, even if you don’t get one. Just show up – bring your friends! This entry was posted in Check it out and tagged book launch, facebook, I Never Drove a Bulldozer, Party by Karla Telega. Bookmark the permalink. Thanks for stopping by and following. I’m heading over to your site now. You’re going to be exceedingly busy! Thanks, Tara. Just went over and checked out (and followed) your blog.